Bulgaria has a plan to cover all possible risks from the crisis in Macedonia as it sees them at the moment, Deputy Prime Minister and Interior Minister Roumyana Buchvarova said on May 12 after a special meeting of the cabinet national security council on the situation in the neighbouring country. The meeting was called after the May 9 and 10 clashes in the northern Macedonian town of Kumanovo, just 60km from the Bulgarian border. In a prolonged firefight with an armed group, eight police died along with 14 of the gunmen. Skopje has charged 30 members of the group with terrorism. The Kumanovo incident followed months of political crisis in Macedonia which escalated into violent confrontations between police and protesters demanding the resignation of the government over alleged large-scale illegal wiretapping and abuse of power. An official statement issued by the Bulgarian Foreign Ministry after the national security council meeting largely rehashed the ministry’s message of two days earlier. 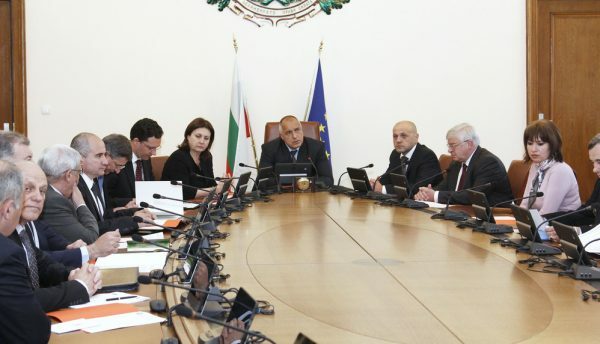 The May 12 statement said that participants in the meeting agreed that, for Bulgaria, most important was the preservation of the territorial integrity of Macedonia and that country’s political stability. The preservation of civil and ethnic peace in Macedonia was of key importance, the statement said. It was necessary to restore dialogue between government and opposition, because the absence of dialogue was opening the way to destabilisation. The domestic political crisis required responsible action by the government so that public confidence in the institutions could be restored. There is an urgent need to restore the rule of law, for which the government was primarily responsible, the statement said. Macedonia seeks to join the EU, and the road to the EU required tough reforms, the statement said. Such reforms were urgent and were the only way to build the rule of law, the statement said, adding that the lack of reforms had delayed the start of negotiations for Macedonia’s membership of the European Union. “Bulgaria cannot interfere in the internal affairs of Macedonia, but is ready to provide assistance, both at bilateral level and within the efforts of the European Union,” the statement said. Buchvarova told reporters that the meeting had discussed “all possible operational risks and possible scenarios” regarding the way that the crisis in Macedonia could play out. The government wanted to assure the Bulgarian people that “we have a plan that covers all possible risks the way we see them at the moment”. Bulgaria was ready to curb a wave of migration across its borders from Macedonia, but saw no such risk at the moment, Buchvarova said. The meeting had discussed the risk of entry of terrorist groups into Bulgarian territory, she said. Earlier, in an interview with public broadcaster Bulgarian National Television, Foreign Minister Daniel Mitov said that the country did not want to see Macedonia “in the state it was before the Ohrid Agreement”. This was a reference to the August 2001 agreement that ended conflict between ethnic Albanian rebels and Macedonia’s security forces. Mitov said that Macedonia had a European future, and Bulgaria and other European countries were keen to help Macedonia on its path towards integration into the European Union. But what was happening now raises serious concerns in terms of stability and preservation of ethnic peace, he said. Mitov said that the government in Skopje should give clear answers to the concerns of citizens about how the operation in Kumanovo was carried, but also in terms of how to govern Macedonia in principle as a whole. Noting the protests in Macedonia in recent weeks, Mitov said that there had been revelations coming out for a long time, to which the Macedonian government should respond. He said this in a telephone conversation with his Macedonian counterpart Nikola Poposki the previous day, “that the government should provide answers and must take clear political responsibility for what has happened”. Mitov said that the EU expected reforms, but this was not happening, and the restoration of dialogue between the government and the opposition. “Because in a situation of tension, when opposition and the government are not talking, when there is a deep chasm carved between them, it creates a political vacuum, into which radical groups have begun to enter and there is the potential for destabilisation. “Political instability, the inability of the political elite to unite around certain national priorities, creates a vacuum into which radical elements can penetrate,” Mitov said.